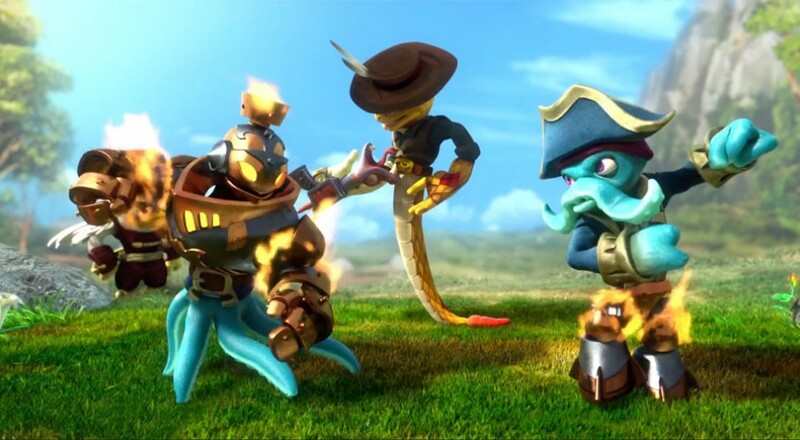 Whether you love them or hate them, it's undeniable that the Skylanders toy/game fusions are immensely popular. You probably own one of the versions (whether you like to admit it or not), especially if you have kids. If you happen to be funding a Skylanders junkie (whether it's yourself or your kids), you have my deepest regrets when I inform you that Skylanders SWAP Force is releasing on October 13th on the 3DS, Wii, WiiU, Playstation 3, and Xbox 360. It will be out on the Playstation 4 and Xbox One in November after those consoles release. Page created in 0.4154 seconds.